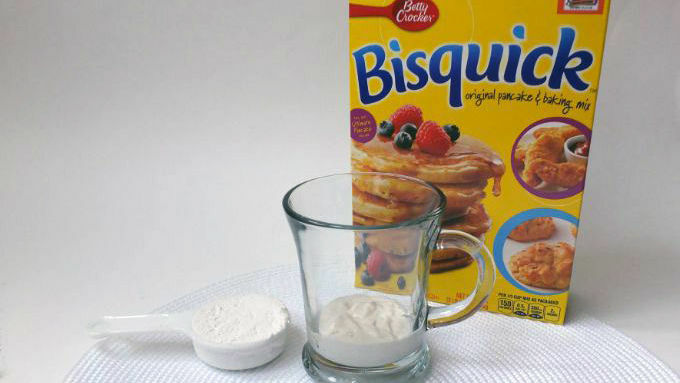 Combine Original Bisquick™ and milk in a microwavable mug. Cook in microwave for 1 minute. Top with syrup or your favorite fruit! I used a 1,300 watt microwave – cooking times may vary according to wattage. 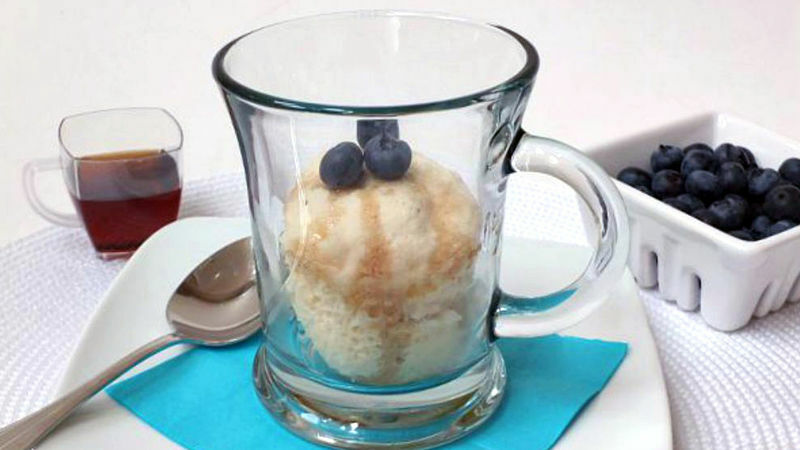 I’m always looking for a quick and easy breakfast (or let’s face it—late night snack) that I can make and take with me, so when I found the recipe for a Pancake Mug Cake by Kirbie’s Cravings, I was inspired to make my own! I love pancakes for breakfast, they’re one of my favorite comfort foods. But those flat and frozen ones always turn out chewy. If I have a leisurely weekend morning, I can take the time and make them on the griddle but most days it’s all I can do to grab a piece of fruit or a granola bar as I’m rushing out the door. Sometimes YOU JUST KNOW that your day is going to be hectic and you’re going to NEED some comfort food before you head out. You know you’re gonna NEED a pancake. Using Bisquick™ and milk—yep, just 2 ingredients—I made a pancake in a mug. It took me about 5 minutes! I’m serious. AND it was a fluffy pancake! Let’s put this to the test and see how fast you can make one. GO! 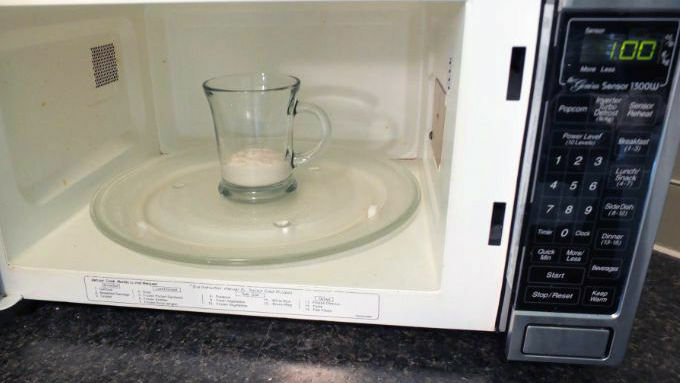 All you need is a mug and a microwave. Now, I have to say my microwave is a torch at 1,300 watts. So you may have to adjust. Cooking times may vary according to wattage. Just top that puppy off with syrup, fruit or if you want to make sure your day starts off extra good, some chocolate chips!